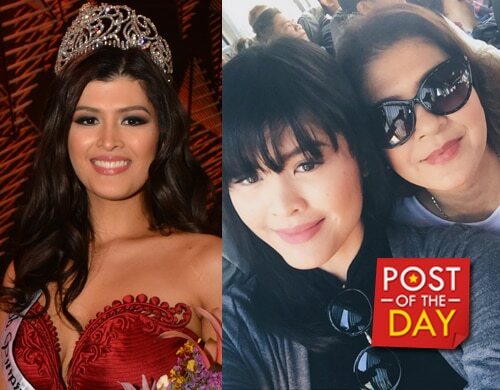 Sandy Andolong took to Instagram to express support for her daughter Mariel de Leon, describing her as “brave” and “humble”. Mariel, who was recently crowned Miss International Philippines, got involved in a controversy after voicing her opinion regarding Mocha Uson’s appointment as Assistant Secretary of the Presidential Communications Operations Office (PCOO). We love you Maria Angelica de Leon our brave & humble queen?????? Mariel is Sandy’s daughter with husband Christopher de Leon.